Giving funeral flowers is a beautiful tradition. It can be a profoundly moving experience both for those who send bouquets and the family members who receive them. However, expressing your love for the deceased and your sorrow that they have gone are not easy things to do and it can be difficult to know what to write on funeral flowers. It is a good idea to write a personalised message on your funeral flowers. Write about your happiest memory with the deceased, or a funny anecdote about a time you spent with them. It can be very comforting for their loved ones to receive messages that remind them of their deceased’s life. Florists almost always offer the option to include a message, so if you’re truly lost for words you can choose one of the phrases they suggest for funeral flowers. A picture paints a thousand words – you could also include a card with a photograph of the deceased to commemorate a happy time that you shared. This is a personal and loving gesture without the need for a detailed inscription. Unless you are sure of the religious beliefs of the deceased’s family members and share them yourself, it is also best to avoid writing religious statements, including anything that implies an afterlife, on funeral flowers. Religion is a touchy subject at the best of times, and the last thing you want to do is cause offense by saying something inappropriate or worse, sacreligious. Even if the deceased was an avowed atheist, if their family are religious and are burying them in faith, or vice versa, it’s best to avoid confrontation at this highly emotional time. Stick to secular messages. It’s important to write the perfect message on funeral flowers, but you can send just as powerful a message with your choice of flowers. A beautiful bouquet, wreath or floral arrangement can speak for itself. Before deciding on a type of flower or style of bouquet, consider what exactly the flowers will be used for. If they will be used as a decoration at the funeral itself, a larger and grander arrangement will be better. 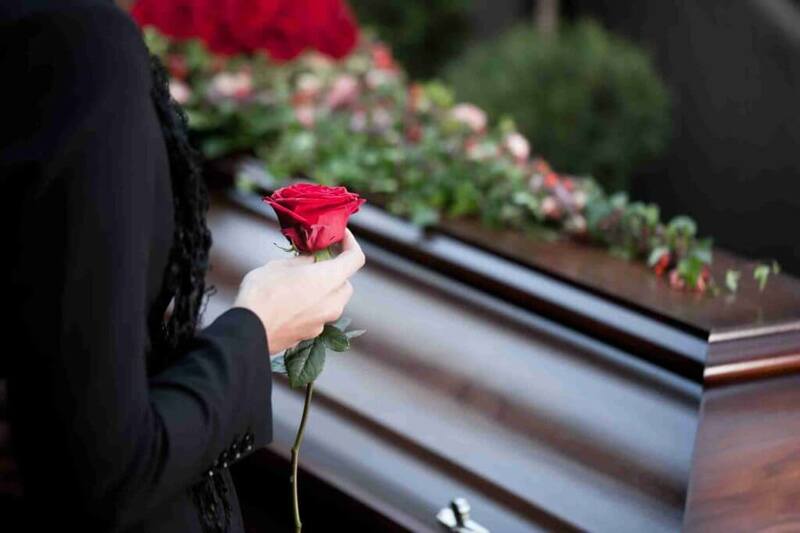 Consider using traditional funeral flowers such as white stargazer lilies, roses, or chrysanthemums, which all symbolise love and remembrance. By contrast a smaller, more intimate posy or bouquet will be more suitable if you are sending them directly to the home of the bereaved in a gesture of sympathy. If the deceased had a favourite flower that may not be appropriate at the funeral, such as a sunflower, you may wish to send it to their loved one. Sending a potted plant for the house or garden of the bereaved is an ideal gesture for those who dislike the waste of cut flower arrangements but still want to express their condolences. This is particularly suitable for eco-funerals, or for those who request donations instead of flowers. Peace lily is an ideal choice. Just tie your message to a branch or stem, or attach it to the pot. For a long-lasting memorial, consider sending the bereaved a sapling that they can plant and visit for years to come. English oak is a traditional funeral tree because of its strength and longevity.